It's that time of year again where entries open for the Australian Cider Awards. The awards will be held in Orange, on the 9th of October. For the second year running, I couldn't make it along to help out! Argh!! Maybe lying on a beach in hot, sunny Cairns drinking cocktails isn't so appealing after all?? I wish everyone involved a great time judging. But I urge all Australian producers to enter this completion. It heaps to unite and strengthen our Australian Industry, and shows it mean business. 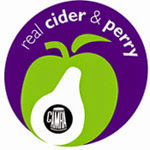 Please go to: www.cideraustralia.org.au or www.cideroz.com.au for entry forms and the Awards details. ENTRIES CLOSE - SEPTEMBER 24!!!! Don't miss out. If having cider expert (my cider hero) Andrew Lea involved with the awards last year wasn't enough, the years international flavour comes from the US. Gary Awdey is a cider expert who is president of the US Great Lakes Cider and Perry Association. 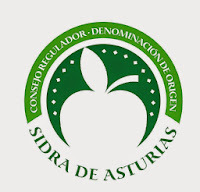 This guy has some serious cider clout, and will be a perfect addition to the judging panel.